Dimensions: 4-1/4 x 6 in. 46 pages. For ages 4 and up. Hardcover. 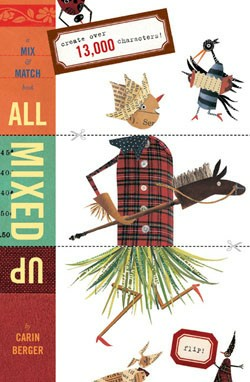 Once you start to play with this clever mix-and-match book, you won't be able to stop. By flipping the cut pages, readers can create more than 13,000 quirky characters, each accompanied by its own silly verbal description. So many combinations, so little time.